Mr. Jason Dickie's second grade class at Goshen Elementary School won the first school spirit contest at the school this year. 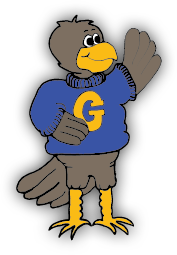 The students of the winning class wear the school colors of yellow and blue more than students in any other class. This is also the day of the PTA's Fall Carnival--another good reason to show your spirit. The other adult in the picture is Mr. Eric Cuthill, who is serving as a student teacher in the room from the University of Phoenix.